The word. It is a potent instrument of transcendence, channeling energies beyond human comprehension, while simultaneously holding a mirror up for the world to reflect on its triumphant spirit of love, as well as its tragic penchant for self-destruction. Centuries before they were first conveyed as written adaptation, the oral word was the essential method of communication, and as civilization evolved it became a determinant factor in evoking emotions that would inspire and motivate the global community, in means both ill and illuminant, through history’s tumultuous arc. 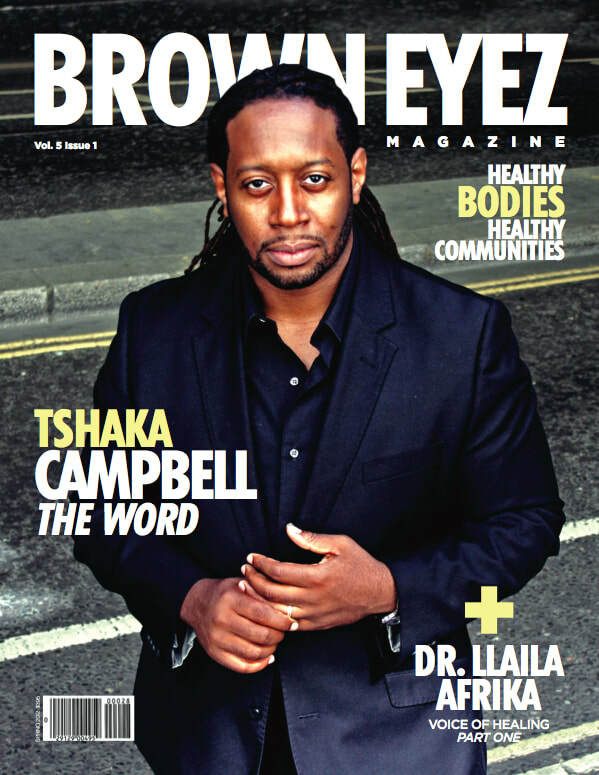 Tshaka Menelik Imhotep is both a student and a purveyor of the spoken word. Referenced largely through the performance circles by his preferred moniker “TarMan Celebrating His Natural Kink”, Tshaka has become one of the more acclaimed and revered artists to emerge from the prodigious pool of spoken word poets within the last decade. An immigrant to the United States at the tender age of ten by way of his native England, Tshaka was raised by his parents in the suburbs of New Jersey, and it was through their early teachings of solidarity that he was educated on the history of his West African roots, his Jamaican lineage, the philosophies of Marcus Garvey and Pan-Africanism, and, especially from his father, the intense power and beauty of language. Purity and honesty. It is these two elements of the spoken word at its most intoxicating state that so directly affect the ears and minds of those who listen. The seductive means by which the word can allow one to express his or her joy and pain, remorse and redemption, is enough to illicit a passionate allegiance from even the most jaded audience. Tshaka was smitten by the luring force of poetry at a young age, starting some 15 years ago with a group of peers that he had befriended from Brooklyn, New York. One of these friends had acquired a book of black erotica poetry, and it stimulated the group to start writing poems of their own; twice a month they would hold what came to be known as “Isms at 540”, at 540 Carlton Ave in Brooklyn, and share each other’s writings. Eventually, Tshaka felt the need to express himself outside of the group, and began to attend poetry venues like the Brooklyn Moon, the Nuyorican Poetry Café in Manhattan, and Serengeti Plains in Montclair, New Jersey. He was still developing as a writer, and was taking notes on the various artists he witnessed on his poetry club visits, before he felt comfortable performing his own writings. In 2001, after taking to the stage for the first time to do a reading of one of his poems, he knew he had found his voice. To be certain, what Tshaka can absolutely be sure of is his brilliant star as one of spoken word’s foremost and promising talents continuing its ascendance into the uncharted realms of possibility. In 2006, his pre-eminence as a performance artist firmly established, Tshaka released his debut CD of performance pieces entitled One to global praise; this resounding reception was followed three years later by his sophmore collection, Bloodlines. He has also ventured into publishing entries of his lyrical prose with the books TarMan, a collection of poems, and Muted Whispers, which contains various selections of short stories.